Friday afternoon we had a beautiful opportunity to practice our lifestyle portrait photography. 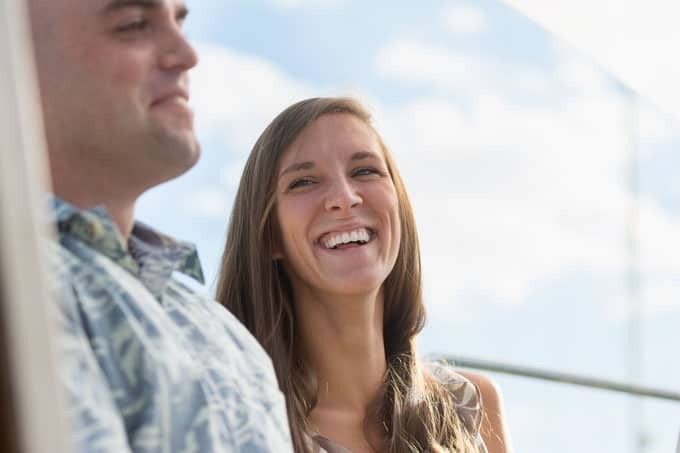 A friend of my husband’s owns a sailboat (he’s also a certified captain and licensed to do charters, so let me know if you’re looking for a charter sail on Oahu or Kauai and I can put you in touch!) 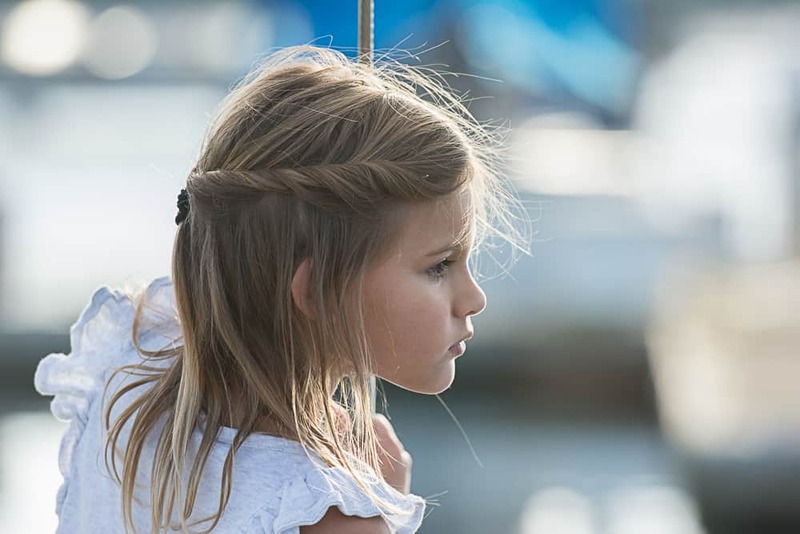 and other friends of ours have the world’s most adorable, well behaved children. 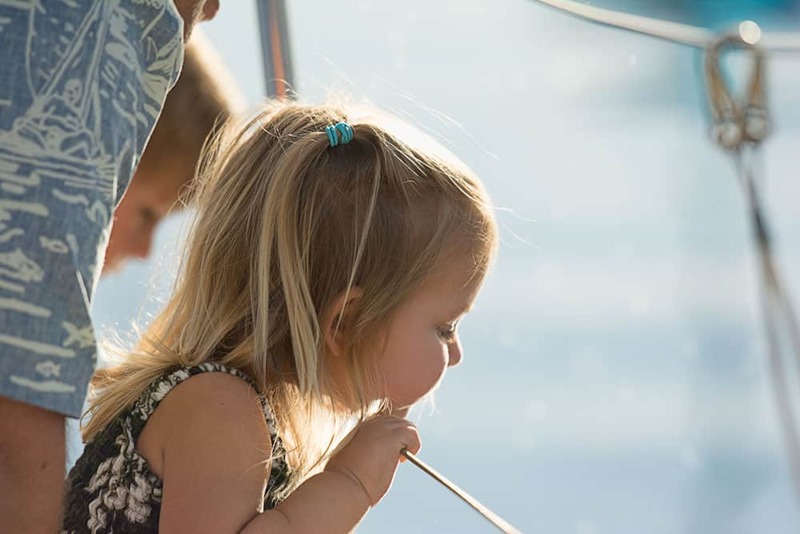 The combination of sunny afternoon sail + lovely family was absolutely perfect for practicing photography! 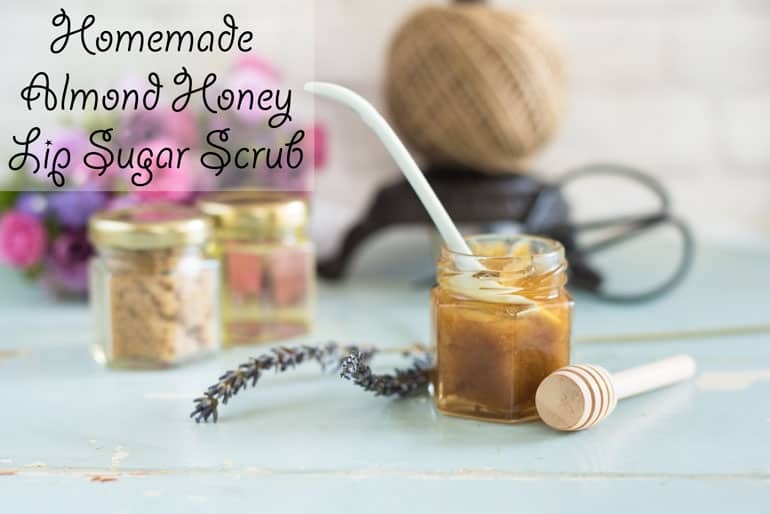 However, being out in the sun and wind made me realize just how badly my lips needed a loving exfoliation, so I decided to create a homemade honey almond lip sugar scrub and share it with y’all! This recipe is completely scalable. I used these 1.5 ounce jars I had on hand and this recipe fits perfectly into one jar. If you’d like to make a larger quantity or fill multiple small cars (wouldn’t they be super cute as shower or wedding favors?) Just follow the same 2:1:1 ratio for any quantity! Jars! As noted above, I used cute little 1.5 ounce jars. Whatever jars you use, I high recommend sterilizing them. 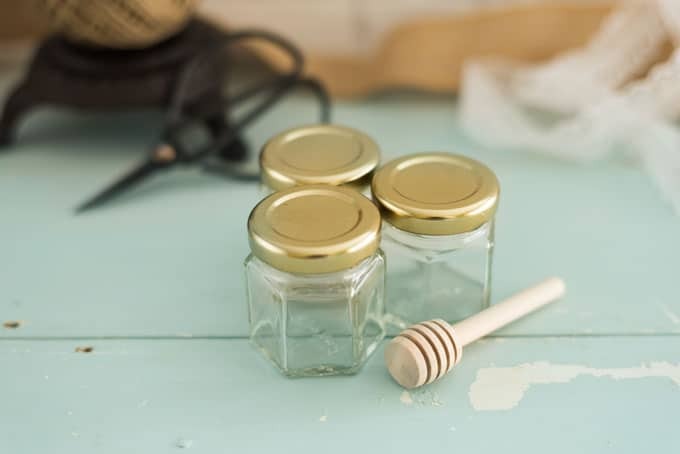 This blog post from The Tough Cookie details multiple ways to sterilize glass jars. 1. Measure out two lightly packed tablespoons of light brown sugar and place in a small bowl. 3. 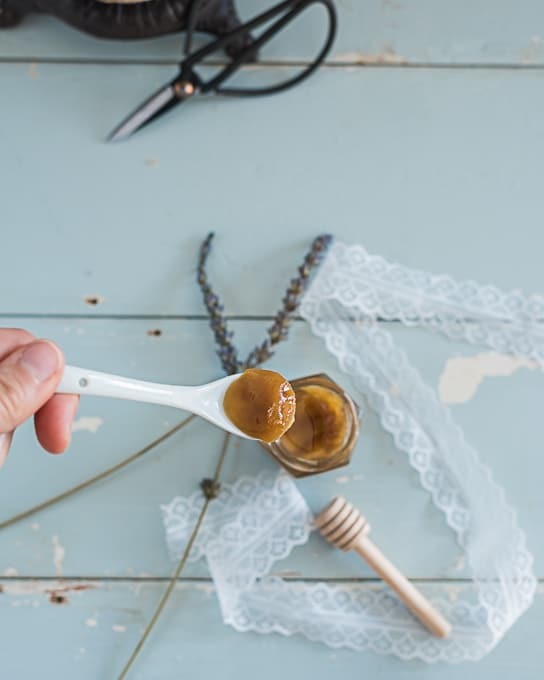 Measure your honey using the same tablespoon. The oil coating will make the honey slip right off without sticking! 4. Combine thoroughly with a small spoon or knife, then transfer to your glass jar. 5. Use and enjoy! 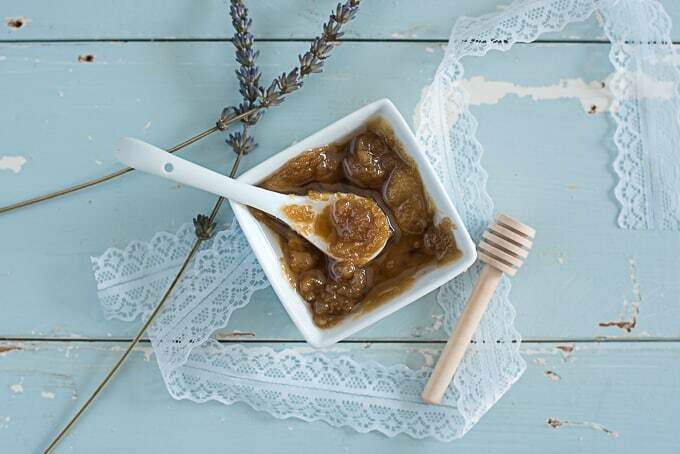 To use, gently rub a small amount (typically a marble-sized quantity is sufficient) only your lips then lightly rinse to remove the sugar but leave a little almond oil. This lip sugar scrub works wonders! Even a single use made my lips feel significantly better, and I’m confident it will do the same for you! 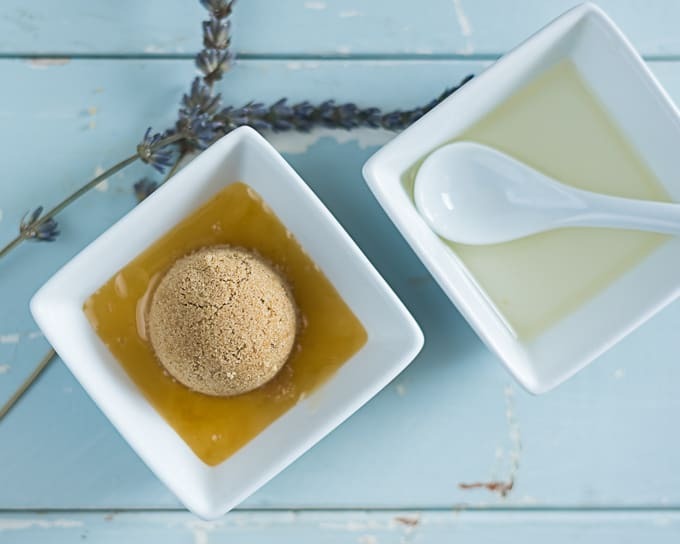 Like I said above, I think little jars of this lip sugar scrub would be super cute for Valentine’s, shower favors, or DIY wedding favors, don’t you? I love making scrubs! Will give this one a go! Be careful – it is highly edible and delicious. It was hard not to actually just sit there and eat it! This looks gorgeous! Would make lovely little gifts too! So…I totally ate some of it and it was delicious! Which is nice, because I’d much rather use something ‘edible’ on my skin than something with a warning about how it’s toxic, don’t swallow or get in your eyes!